Our emotions affect our health. Too much anger, sadness, regret, and ill feelings towards others cause negative reactions within the body. Emotional health carries weighs heavily on the healthy individual. Our life experiences can become burdensome, and strenuous. However, we know that after every difficulty comes ease. As we journey through this life, it affects each one of us differently. Know that all of the changes, tests and trials that we experience are meant to happen. That is why the choices that we make are so important. When you realize how your thoughts and emotions can affect your overall health in the worst way, you will learn how to let go of worries, sadness, and problems. Know that Allah the Exalted, is in control of your life. Begin the practice of letting go of negative emotional weights immediately. Forgive people, help everyone, and do as much GOOD as you can. Write down what disturbs you. Work with each issue and resolve them one by one. Having tiptop health makes it easier to praise our Lord. Nutmeg- This is a spice that lowers blood pressure, relieves stress, prevents kidney stones, removes tension, improves brain health, it is used with Alzheimer’s patients, helps digestion, bloating, constipation, it is an effective sedative, and it is also used in many toothpastes because of its antibacterial properties. Oil of nutmeg is used for joint pain; taking one gram a day is the best dosage. Too much nutmeg may cause nausea, so it is best not to overdue. It is a warming herb, so if you have a very warm constitution you should use this herb during the coolness of the evening or as you can. Sprinkle a small amount into a cup and add warm milk to it, or add some to a cup of black tea, or just have nutmeg tea – either way, the benefits of this herb, God Willing, will come through. Nutmeg contains calcium, manganese, iron, zinc, copper, and magnesium. Ginkgo- This herb has a tonic effect on the nervous system. It stabilizes the neural and muscular membranes, increases concentration, removes toxins, thins the blood, prevents stroke and heart attacks, and it neutralizes free radicals. This is a good herb to take for mental clarity. Chamomile- This herb works to relax the nerves, it is an antibiotic and antiseptic. It contains the chemical tryptophan, which works as a sedative. Chamomile also contains calcium, magnesium, potassium, selenium, zinc, and vitamins A, C, E, and F.
Essential Oils- A massage oil can be used to improve overall feelings of a person. 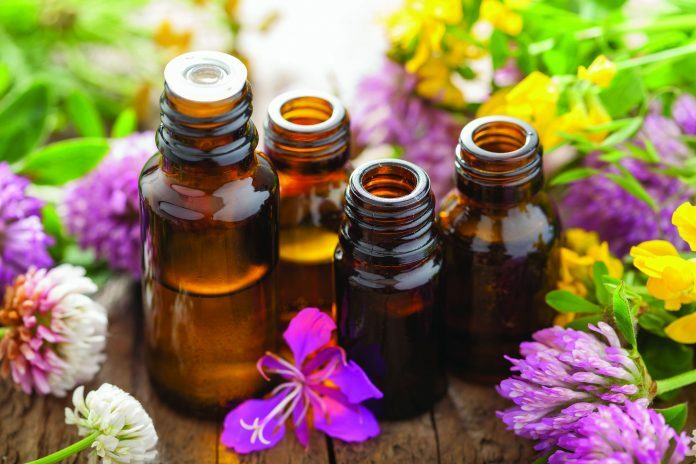 A mix of the following, 3 drops of rosemary oil, 3 drops of clary-sage oil, 2 drops of ginger oil, 3 drops of chamomile oil should be added to 1 teaspoon of almond oil, this is your carrier oil (a carrier oil is the oil used to put your essential oils in, and you can substitute it with olive oil, sunflower seed oil, sesame oil or whatever you have available) and do a self massage. Massage the body in an upward motion towards the heart. Vegetable Sprouts, Grasses, and micro greens- All three of these foods are very nourishing and beneficial for you. If you purchase organic seeds you can make them yourself. They are all healthier than taking vitamins, can clean your blood more quickly and are made in your own home. Broccoli sprouts, wheat grass, barley grass, turnip sprouts, pea sprouts can all be added to a salad or a soup. Everyone in the world today is under some sort of stress. There are different types of stress- positive stress, normal stress, chemical stress (like too much coffee), physical stress, mental stress, and distress. The human body works as an intricate machine. When one part is not functioning properly, then the whole body suffers. Investigate and see how you can reduce your stress level, and watch your health improve. Illustrated Encyclopedia of Healing Remedies, by C Norman Shealy M.D., Ph.D. Previous articleDOLCE & GABBANA, H&M, NIKE AND MORE: WHAT’S UP WITH THIS NEW HALAL INDUSTRY CRAZE?